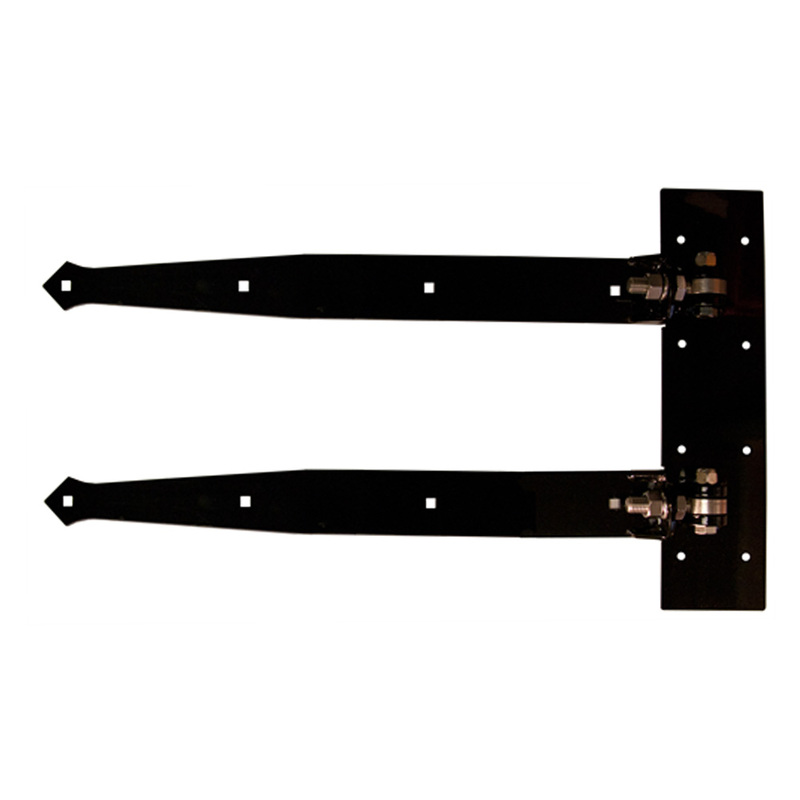 This unique heavy-duty Rockwood adjustable double-strap hinge is very strong, holding up to 300 lbs. per hinge. Sizes available in 16" and 24" (special order only). This heavy-duty adjustable strap hinge creates a very strong, unique look with its powder-coated black finish and stainless steel hardware. Sizes are available in 16" and 24" (special order only). Creates a consistent look and feel of an Old English door system. 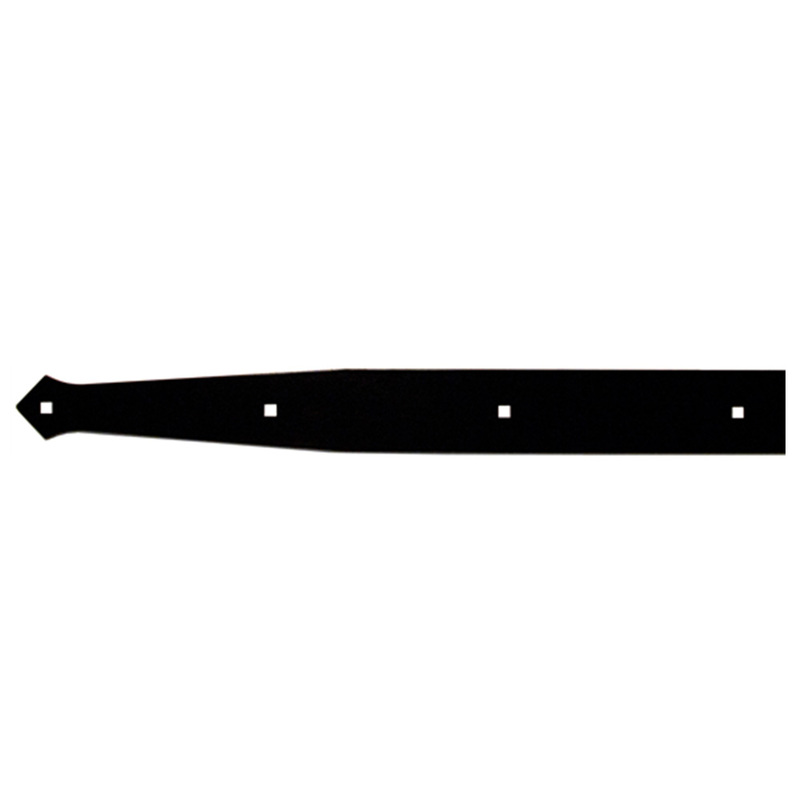 The Rockwood decorative back plate can be added to the interior or exterior of any door. Available in either 16" or 24". 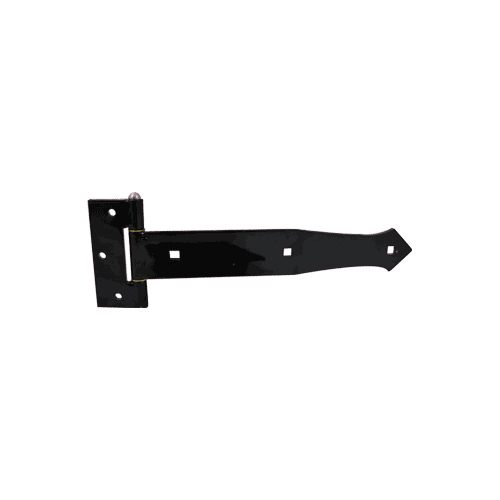 The 24" Madison adjustable double-strap hinge is powder coated black with stainless steel parts to give your swinging door a very prestigious, sleek look. 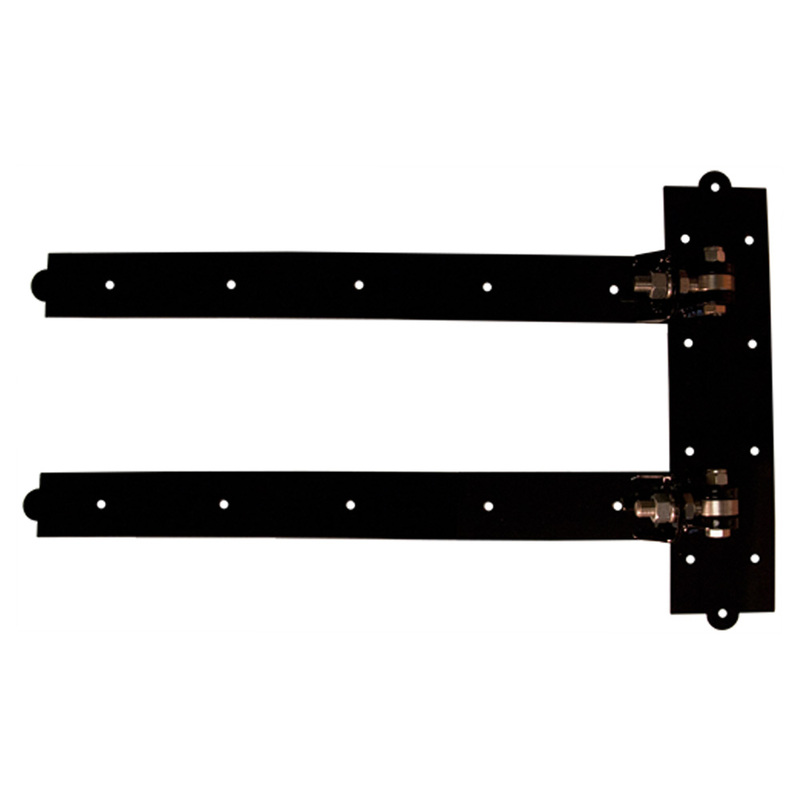 The 24" Madison adjustable strap hinge is powder coated black with stainless steel components providing the door system with the durability and a very prestigious look. 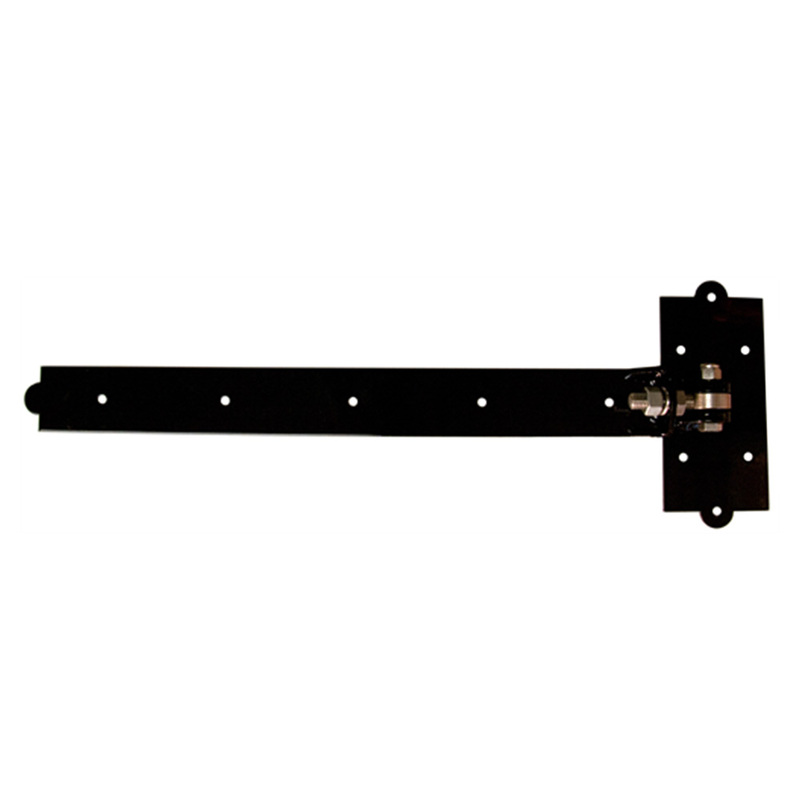 The Madison decorative back plate lines up with the strap hinge's holes so a carriage bolt can attach directly to create a stronger "sandwich" swinging door. 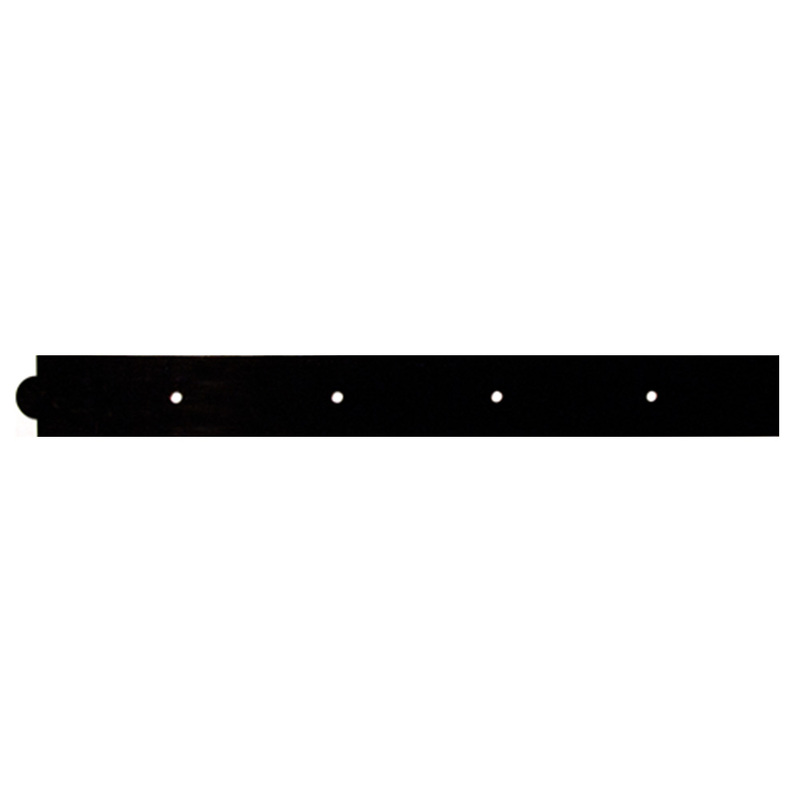 These 16" heavy-duty strap hinges will give your barn an elegant classic look that will set it apart from the rest. 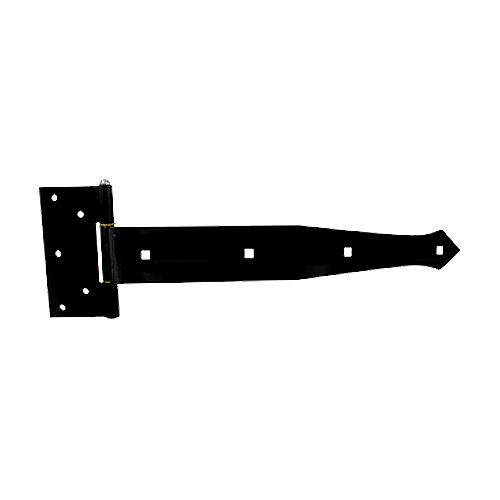 Turn your barn into a showplace with these 16" heavy-duty strap hinges. We suggest using these in pairs. 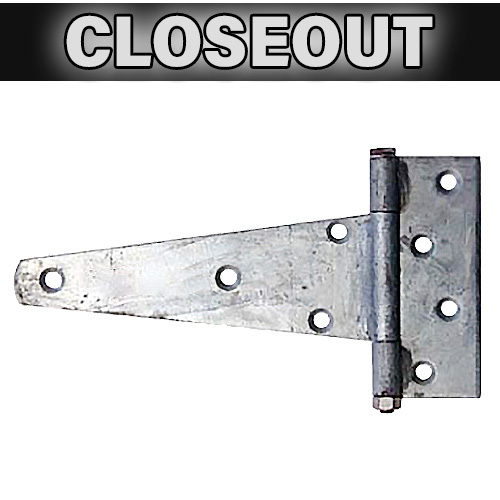 This heavy-duty 10" T-Hinge is hot-dipped galvanized for superior strength and rust protection. It also comes with a removable pin. 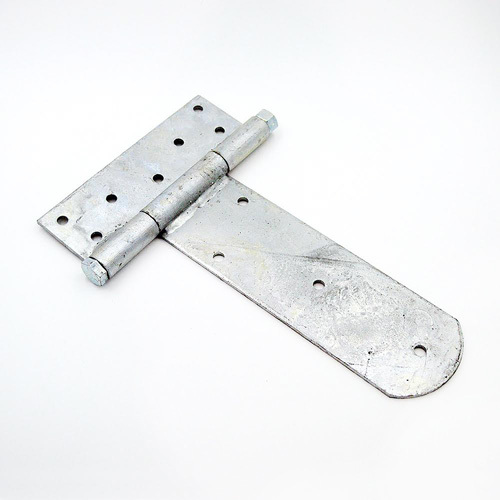 This 8" heavy-duty T-hinge is hot dip galvanized for superior strength and rust protection so your door looks great for years! It also comes with a removable pin. 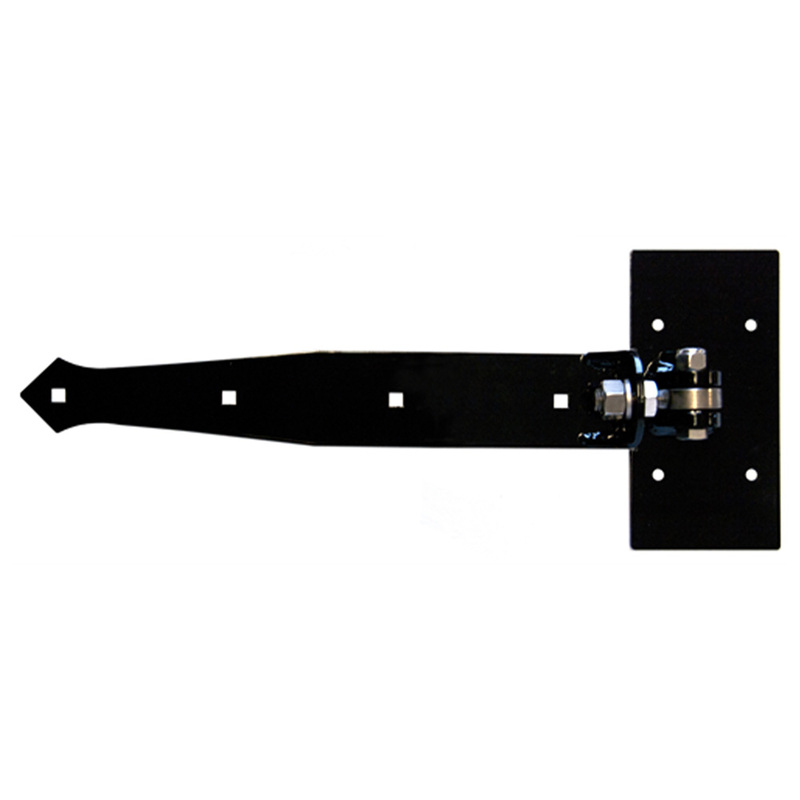 At RAMM, we offer a few different styles of door hinges. Out most popular styles are the Rockwood and Madison designs. Strength matched evenly with beauty, we only carry the highest quality door hinges!